Due to its ever increasing popularity, the venerable Sasquatch! 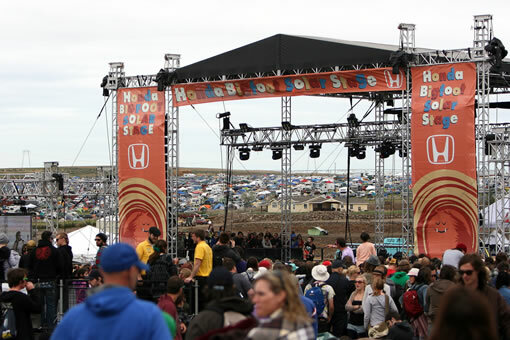 Music Festival will begin today (Friday, May 27), a day earlier than in years past. Like years past, however, Sr. West Coast Correspondent, Drake Lelane will be on the ground at The Gorge, tweeting all the action from @drakelelane and reporting back here with full day summaries when he gets the chance. If you’re headed out to the fest yourself, check my pre-Sasquatch interview with Drake from last year, for a few pointers. If you’re not going to be in Quincy, WA this weekend, you can also enjoy streams of the festival from the comfort of your own living room via the good folks at NPR and KEXP. Check out the full day-by-day Sasquatch! 2011 lineup after the lineup.